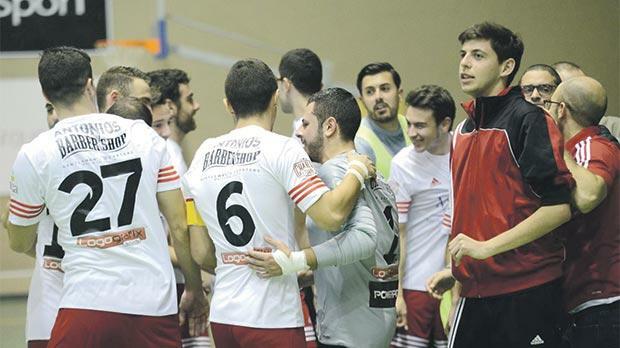 Safi San Lorenzo finally jotted their first win in the Gatorade Futsal League after crushing neighbours Żurrieq Wolves 11-1 at the Corradino Pavilion. The experienced Clive Calleja was an inspiration for his team-mates as Safi played the possession game very efficiently. Calleja provided five assists in all as Safi had Sean Vella netting four times, Jonathan Bellizzi and Terrence Cachia obtained a brace apiece with the other goals coming from Franklin Seisun, Desmond Kind and Wayne Hamer. University of Malta returned to winning ways after an 8-0 mauling of bottom team Swieqi U-21. The students’ success was never in doubt as they opened a 5-0 lead before the half-time break. The pattern of the match didn’t change much after the interval as Djordje Maksimovic and Jake Azzopardi scored a double each for University. Marsaskala Construct Furniture scored their first points of the season after edging past Tarxien JMI 5-3. The southseasiders produced their best performance this term, scoring the goals that mattered in the crucial moments of the match. Tarxien suffered their third successive defeat. They were left empty-handed despite producing another positive display which, however, was not enough for them to secure any points. Reuben Degabriele was twice on the target for Marsaskala while Denzil Pisani, Franklin Abela and Ryan Mifsud also put their name on the scoresheet. For Tarxien, Silvio Saliba hit the target twice and Michele Bucciano added the other goal. The Gatorade League resumes today when Qrendi face Luxol while Valletta play Msida in the late kick-off.